It’s that time of year to submit your student votes on their favorite Patricia Gallagher book! Remember that EACH STUDENT VOTE COUNTS! Please email your votes by May 1st to either Priscilla at priscilla.a.ing@gmail.com or Mickie French at garmic2@msn.com. 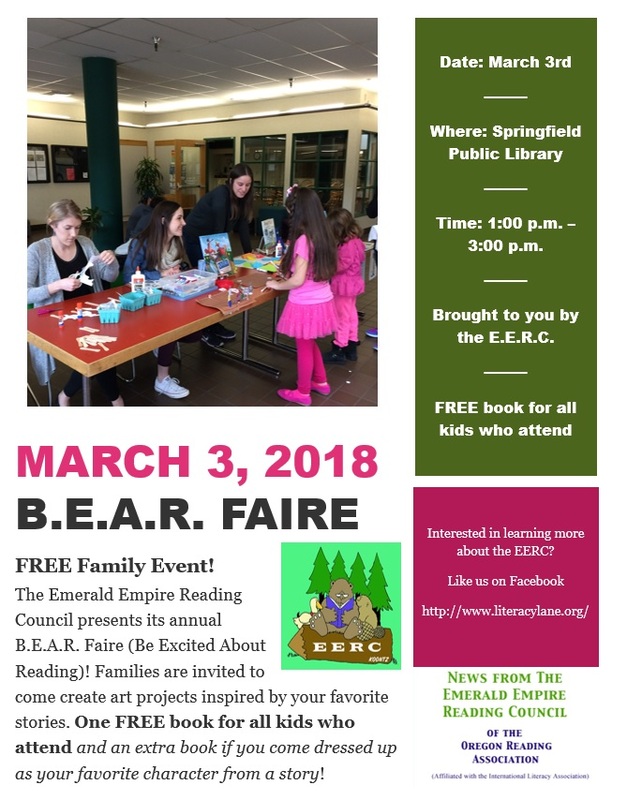 Our first BEAR Faire in Florence was a hit! Thanks to all those who attended and helped make the event so special. 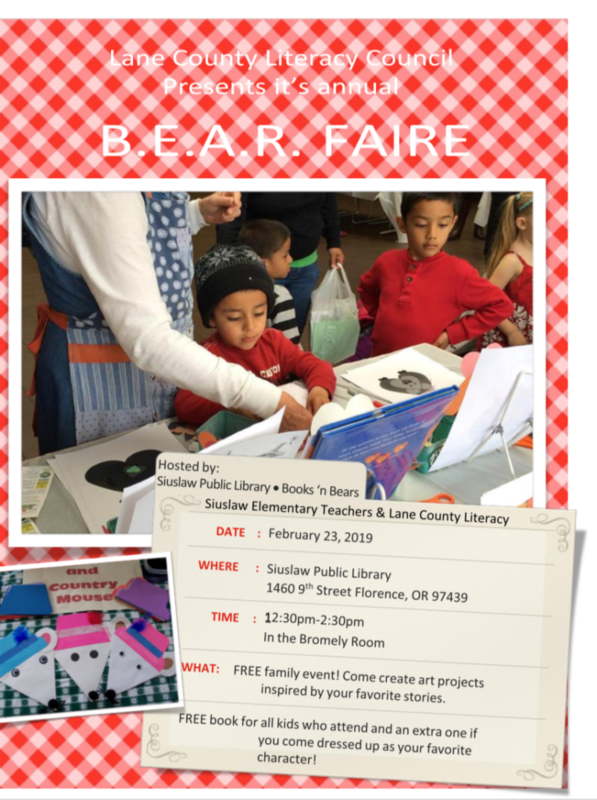 Shoutout to the Siuslaw Public Library, Books ‘n’ Bears, and volunteers from the Siuslaw Elementary school! We even had some furry friends from the K9Genius Academy attend to have a few books read aloud to them. We hope to bring this fun family event to Florence again next year!